Established in 26/06/1958 in Japan, with 18 plants and 2 modern laboratories, KOATSU GAS KOGYO is a synthetic multifunctional enterprise from researching, developing to producing industrial gas and chemical products. We believe that achieving the harmony between technology and the environment is the biggest challenge of the 21st century. With the objectives is contributing to the growth of industry and human life, KOATSU GAS KOGYO constantly enlarges potential of adhesives, from household use to industrial use. We have expanded the market throughout the Asian countries. We are developing and supplying high-grade adhesives with environmental protection consciousness. Accomplishments of over 50 years of research and develop are the environmental friendly PEGAR, CYANON and PEGALOCK according to the JAIA F ☆ ☆☆☆ 4 VOC standard . 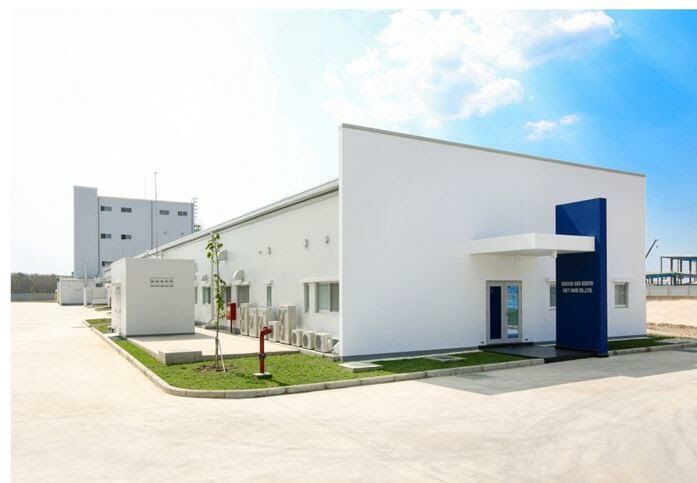 March 2013, KOATSU GAS KOGYO VIETNAM CO.,LTD was established in Long Duc Industrial Park, Long Duc commune, Long Thanh district, Dong Nai province with a total area of 25,000m2 and a capacity of over 300 tons / month, we confidently bring our customers all the advanced technology and superior quality from Japan.